Finally! 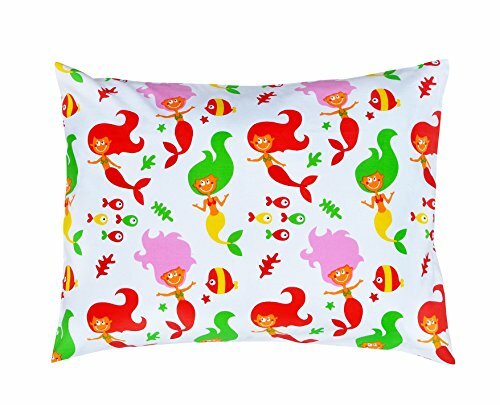 We are proud to introduce our new unique and fun Toddler Pillow with colorful designs cases made just for your little one from 100% Certified Organic Cotton. . If within 90 days you're not 100% happy with your purchase let us know and we'll refund your entire purchase price...no questions asked! YourEcoFamily offers the Highest Quality Organic Products on the Market! Choose Quality - Choose Comfort! Order now while supplies last! HIGH QUALITY - 100% CERTIFIED ORGANIC COTTON SHELL (220 thread count) - made with Organically grown cotton, unbleached, free from harmful chemicals with handed filled Premium Hypoallergenic Fiber. YourEcoFamily TODDLER PILLOW (14" x19") comes with Pillow Case that is made of highest quality materials, 100% GOTS certified organic cotton, naturally hypoallergenic, safe for sensitive skin, odor free, blocks bacteria, mildew, and mold. Best for people with allergies, resistant to dust mites. CERVICAL (Neck) SUPPORT- Our toddler pillow designed around your baby's proportions, allowing for a comfortable sleep while providing your little ones developing body with appropriate support. If you have any questions about this product by YourEcoFamily, contact us by completing and submitting the form below. If you are looking for a specif part number, please include it with your message.